But researchers revisiting the issue with Medicare patients—the federal program covers cataract surgeries for millions—reported in 2015 that the preop tests persisted as a routine order, adding millions of dollars in needless cost. In news articles about that study, researchers and commentators focused on ophthalmologists and described the ordering of the tests as reflexive, routine, and a habit. But who is to blame for all that unnecessary testing? In our recent “Better Healthcare” newsletter, we focused on the eye surgeons themselves. 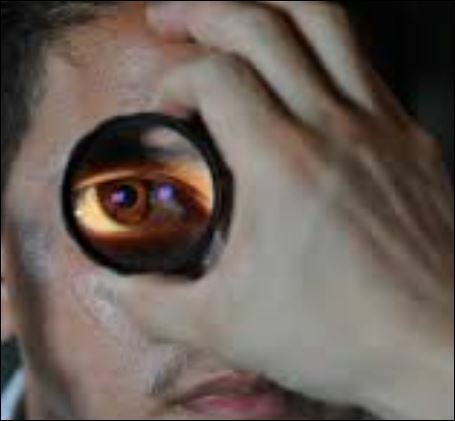 A sharp-eyed reader who is himself an ophthalmologist protested, contending that primary care doctors for the patient and the surgery centers’ anesthesia providers are nearly always the ones who order the tests and who thus should be faulted for any unneeded testing. The truth turns out to be somewhere in the middle, and that neatly shows why it’s a stubborn issue. So it’s not correct that eye surgeons bear no share of the blame here. But there is another fair point the dissenting reader raised: In cataract surgeries, ophthalmologists aren’t the only doctors involved. Anesthesiologists and primary care physicians also may be ordering unneeded preop tests for healthy patients. Research studies, as the medical scientists explain, may not be able to tease out which doctors order unneeded tests and why. The practitioners may do so out of an abundance of caution, because they think it is expected, particularly anticipating that other doctors may want them. They may be practicing “defensive medicine,” believing that this reduces their exposure to medical malpractice lawsuits. In my practice, I see not only the harms that patients suffer while seeking medical services, but also their struggles to access and afford safe, efficient, and excellent medical care. This has become tougher with the explosion in costs, complexity, and uncertainty of medical therapies and prescription medications, with too many drugs proving to be dangerous. It may not seem so key to focus on reducing preop testing in cataract surgeries, except 3 million Americans undergo this procedure and it may be one of the most common operations in the graying nation now. With older, sicker, and frailer seniors, it may be appropriate and sensible to ensure their best surgical outcomes with preop tests. But it’s a tall order, well-intentioned as it may be, for healthy and older patients to download and print out guidelines, such as those in Choosing Wisely, and to quiz their ophthalmologist, anesthesiologist, or primary care doctor about preop tests ordered for a cataract surgery. It is the responsibility of all medical caregivers to ensure patients’ fundamental right to informed consent. This means they are told clearly and fully all the important facts they need to make an intelligent decision about what treatments to have, where to get them, and from whom. This also means that doctors need to stay up to date, so they can inform their patients about the best options they have for optimal care. Doctors also may wish to study up and find that their nightmares about malpractice suits aren’t well founded in evidence, and trying to avert them with “defensive medicine,” aka over testing and over treatment, isn’t effective. For patients, what can be helpful and cost-beneficial may be concerted and sustained campaigns to safeguard them for unneeded and wasteful tests, diagnoses, and treatments. Dr. Neel Shah, executive director of Costs of Care, a patient advocacy group focused on medical finances, told Medscape Medical News that it is not just excess tests that are costly, it is that unneeded exams can “give you information that you don’t know how to interpret.” This can delay needed treatment and lead doctors to order yet more tests, adding to costs and patients’ burdens. It would be great if studies and practice guidelines magically could make disappear aspects of modern medicine that doctors themselves agree are outmoded and wasteful. It doesn’t work that way. A small, new study suggests the front-line hard work it requires to deal with preop cataract tests unnecessary for healthy seniors. Two California hospitals, “safety net” institutions in their community, assigned a nursing specialist to review all orders for these exams. The nurse flagged orders and went back to discuss them with doctors. This all was done with the preapproval and force of authority of the chiefs of ophthalmology and anesthesiology. The nursing specialist also trained staff on appropriate testing. Orders for various types of preop tests plummeted, potentially saving patients and the institutions money.